THE SECRET OF SPECIAL EFFECTS! Indelible Paint by Blue Water Naturals! CAUTION: THIS COLOR HAS NOT BEEN APPROVED FOR USE IN THE AREA OF THE EYE! We've had a lot of requests for dramatic colors! Now unique style is just a stroke away! 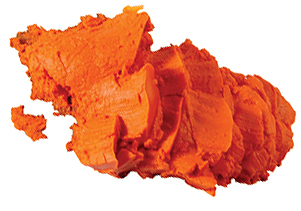 Used for special effects and costumes this color is for professional use. This highly-pigmented Indelible Paint will glide on smooth and last all day!